As mentioned in the previous post, we had run out of water. We’d staved off the inevitable by one day, using the showers at the mountain biking area, but we really needed to get some water on board and dispose of our waste. We also needed to head south. We had a look to see whether we could avail ourselves of any free or cheap services, but couldn’t find anything so opted for a campsite instead. The campsite we decided on was Kilvrecht, a forestry commission campsite with limited facilities near the shore of Loch Rannoch. We’d gained some inspiration for the area by watching Paul Murton’s Scottish Loch’s programme, although we didn’t think we’d emulate his wild swim in Loch Ba. The campsite covers a large area of grass, as well as water and chemical waste disposal there is a toilet block, but no showers and no hot water. They do have cubicles you can use for a stand-up wash, rather cleverly designed so that you can stand in a shower tray and avoid getting water everywhere, you just have to take a kettle of hot water in with you – unless you are a masochist who likes to wash in freezing water. Of course we didn’t need this as we have heating and hot water in Bertie, the luxury of motorhome living compared with a tent. 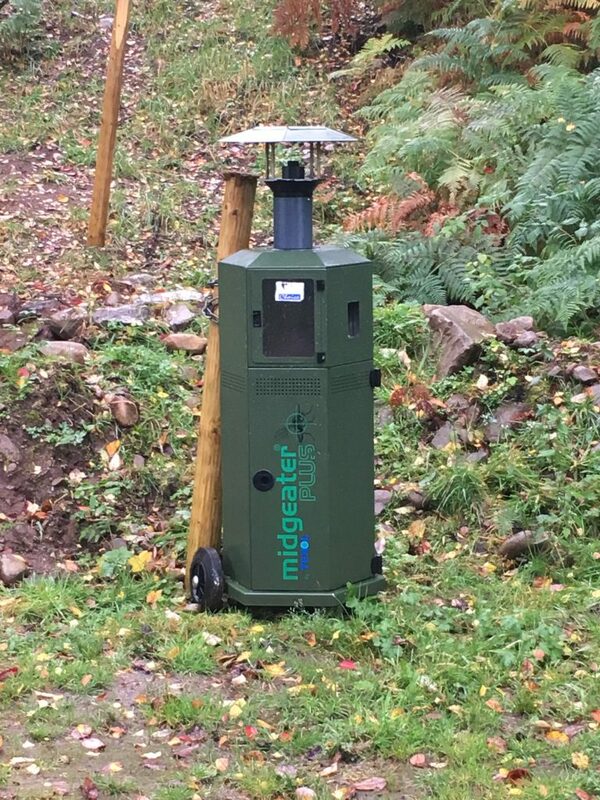 On site they also had Midgeeaters, these machines attract midges and then trap them, by all accounts the midges here are particularly bad but they weren’t too bad while we were there. We chose where to park with care – we could see how boggy it was and there were deep tyre tracks where cars and motorhomes had obviously had difficulty getting off the grass. We parked just off the track facing slightly downhill so that we could roll forward back onto the track when we left. We were ok although another motorhome that arrived just after us needed to be towed off the grass. 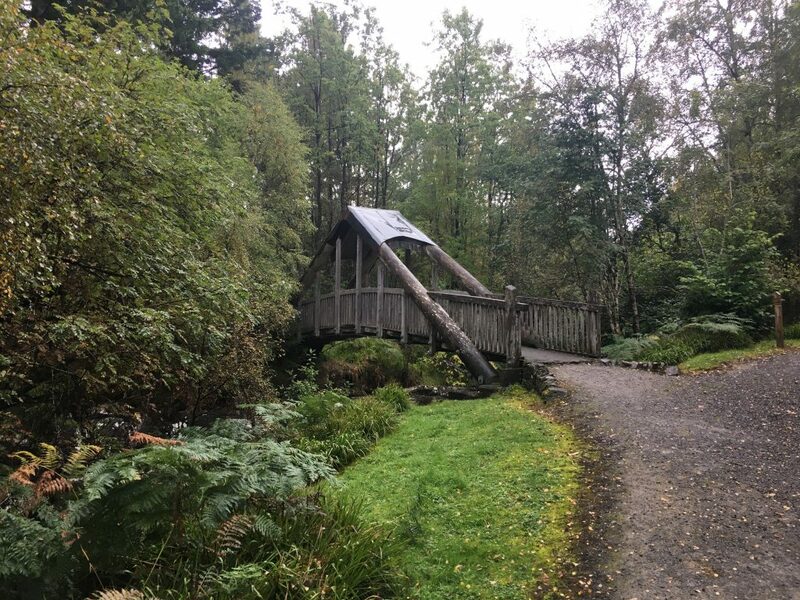 While here we ventured out in the miserable weather for a walk through the forest following the gorge of the Allt na Bogair and then descending through ancient woodlands back down to Loch Rannoch. This took us through the Dall estate, once a boarding school this is now on the market as the owner couldn’t get planning permission to convert it to a luxury hotel complex – at £6 million we didn’t think we could afford it.